← Just Released: THE GIRL IN THE TOWER by Katherine Arden ~ a fantasy fiction of Russian mythological events ~ will evil prevail? GUARDED HEARTS A French pirate of smoldering passions, Justin St. Briac has vowed never to marry. However, when his manipulative mother beckons him to her deathbed in Cornwall, he succumbs to her plea that he take a bride – devising an elaborate charade to appear to grant her dying wish. The old woman’s days are numbered, after all, and soon he’ll return to his life of unfettered romantic conquests and adventure. A PRETEND MARRIAGE Mouette Raveneau, once the toast of the London ton, has been ruined by her dead husband’s crimes. When she reluctantly takes refuge in Cornwall with her two adolescent sons, Justin hires her to help carry off his grand scheme. My Thoughts: This gracefully and eloquently written Regency read/listen, with a humorous plot kept me entertained as it reunites a dysfunctional family. Justin St. Briac has a complex about his mother, whom he sees as one who made his childhood miserable with her games of leaving the family, making his father run after her to bring her home. Marriage is not for him, even though his brother has a happy marriage. He’s more suited to one-night stands and unattachment. At 48 he is a man the women look at when he enters a room. He’s called back home, not having been there for many years. His mother is dying. He doesn’t know if he should trust her. Is she acting as she had been so many times in his youth? He feels a bit of compassion for her and tries to do the right thing when her dying wish is for Justin to find a wife. Rather than argue the point, Justin cooks up a scheme – pulls Mouette Raveneau into the scheme by promising her lots of money she can’t refuse. Her financial circumstances are left in tatters from her previous marriage and now at 36 she must look out for herself and two sons. She accepts this whole charade with the caveat he will not consummate the marriage and use physical touching only to convince his parents they are truly married. But quite a few people know it is all a farce. In the process of furnishing his rented home (which Mouette is very good at), they spend lots of time together…with interesting results. It’s always a pleasure to add children and animals to the mix of a good story. Children speak their minds and express that which many adults feel inappropriate. I enjoyed both boys’ growing relationship with Justin and the surprising reaction Justin has to them. The dog, Robinson, found on the road, becomes very much part of the family. The rental becomes a home. The make-believe world created by this scheme is starting to feel for real. Justin decides it isn’t so bad – being a pirate does have its excitement, but holding Mouette in his arms has a bigger draw. How can he turn a make-believe marriage into a real one? Tim Campbell narrates most of Cynthia Wright’s work. I’ve come to enjoy his French-accented English, his voice impersonations of the male characters with varying personalities. His deep voice and the way he uses it pull out every nuance of Wright’s work. Campbell excels in dog barking! Robinson has dialog, too. Enjoy! This stories of the Raveneaus and the Beauvisage, sometimes humorous, sometimes thought-provoking, and sometimes dangerous, will fill all your senses, quickening your heart with moments of passion. I highly recommend her work. It’s classic! 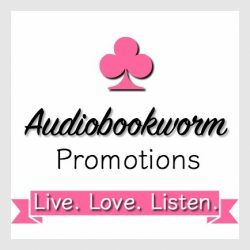 This entry was posted in Action/Adventure, Audiobook, Audiobook Review, Book Reviews, Re-release, Regency Romance, Romance and tagged Audiobook Review, Cynthia Wright, His Make-Believe Bride, The Raveneau Family Series, Tim Campbell. Bookmark the permalink.